Avatism, Solead, Anthony Collins, David mayer, Claude Von Stroke and more. 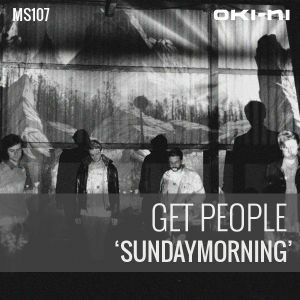 Far away from Lou Reed&apos;s Sunday Morning, this uptempo techno mix from London band Get People is more the soundtrack to a Saturday night that has spilt over in the early hours of the next day. "We haven&apos;t had much of a life outside the studio for a couple of months and cabin fever has set in. So we took the opportunity of finding a theme for oki-ni by hosting a little after hours party in our studio on Sunday morning. This techno/house mix is an hour of music from the party. A blend of old classics and some new gems we&apos;ve come across more recently. The session was a welcome break from working on the album and gave us a little rhythmic inspiration to finish of the last few tracks."